Never assume right of way. Even if you have a green light and have the right of way, check to make sure there aren’t any drivers or pedestrians crossing or turning on a red. Unfortunately, some pedestrians do try to cross when their light is red and some bicyclists do not obey traffic signals. Drivers, too, will sometimes run red lights. Make sure the way is clear before proceeding to avoid a pedestrian or T-bone crash. Approach intersections with no lights carefully. When the lights are not functioning, treat the intersection like a four-way stop. At the same time, keep alert for unusual driving from other drivers or for other road users darting into the intersection. Not everyone understands how a four-way stop works. Expect the unexpected. 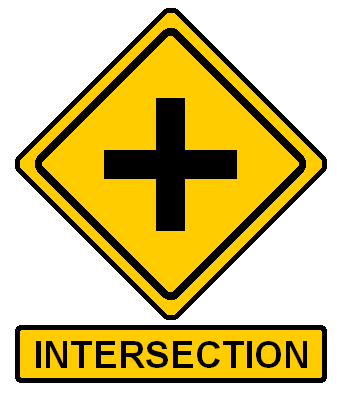 Other road users may wander into an intersection, may speed, or may suddenly switch lanes in the middle of an intersection. Always stay alert. Being in an intersection accident can lead to serious injuries. In Homestead, these types of collisions can lead to T-bone crashes, sideswipe accidents, shunts, front-end collisions, and more. Intersection crashes can cause amputations, fractures, whiplash, abrasions, facial injuries, head trauma, spinal cord and back injuries, and more. Some cars actually speed up when approaching an intersection because they hope to make it through a yellow light and this extra speed can lead to serious crashes. If you have been in an intersection accident, start by getting emergency help for yourself or anyone at the scene who needs it. Remove your car to the side of the road or put on your hazard lights to prevent secondary collisions. Be sure to exchange contact and insurance information with the other driver and get the contact information of any potential witnesses. Take photos of the scene. You will need to report the incident to your insurance company, but you may also want to contact a Homestead car accident attorney to review your rights and to make sure you are protected. You can arrange a free consultation by contacting Flaxman Law Group at 1-866-352-9626 (1-866-FLAXMAN).